All Liberal Arts students have an account in Nittany Lion Careers (http://nittanylioncareers.psu.edu/). Log in with your Penn State Access ID and password to start exploring. 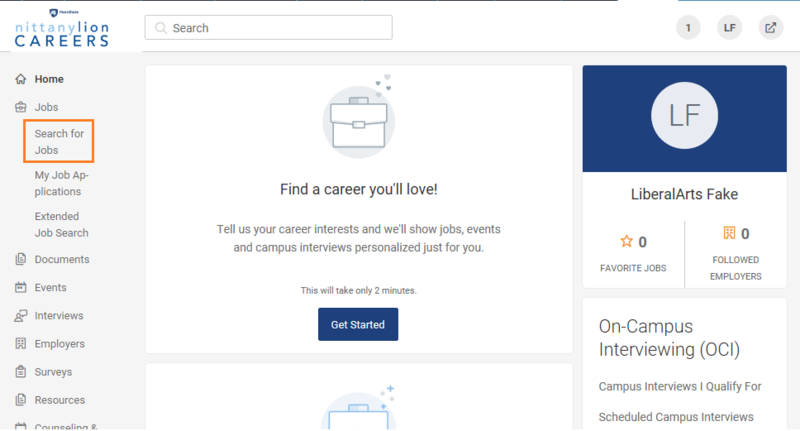 Students can use the “Jobs” tab on the sidebar to view, filter, and apply for jobs and internships with the Nittany Lion Careers system. Click on the “Jobs” tab on the sidebar to get started. 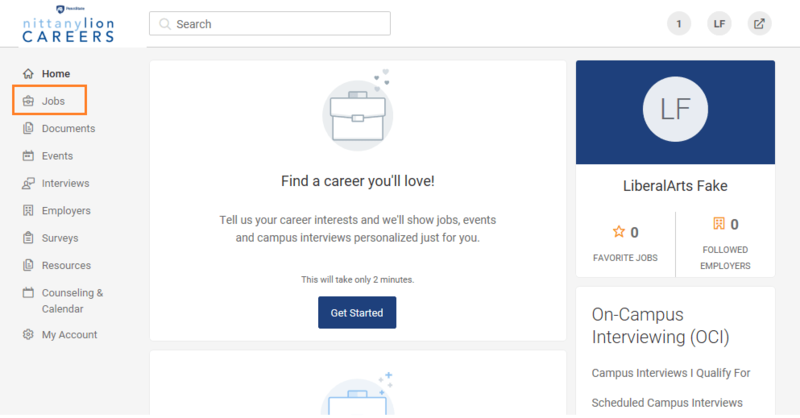 If you scroll down on the “Search for Jobs” page, you will see information about jobs that “People in your major are interested in,” “Trending Jobs,” and “Latest Jobs.” You can view available opportunities by clicking through the jobs that appear on this first page. You can also search for opportunities by entering keywords or locations of interest. 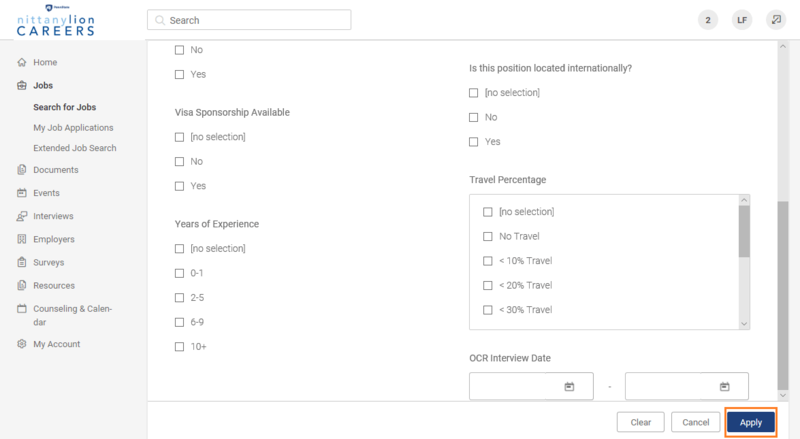 Click on “Position Type” to make selections about the type of employment you are seeking: full-time, part-time, internship, volunteer, co-op, and more. Click “Apply” after you have selected all opportunities of interest. Scroll through the available filters and choose any relevant criteria to use to filter your search. 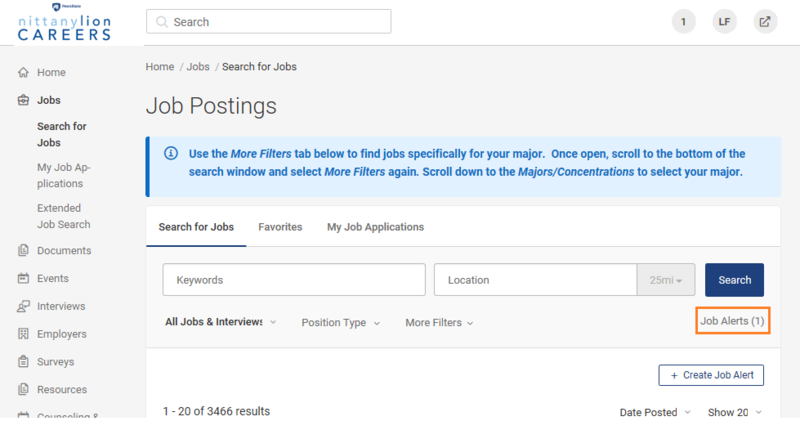 One particularly useful filter is the “Majors/Concentrations” filter, which will allow you to see available positions for which employers are seeking applicants within your major. Note that majors and concentrations are listed under general categories of fields and are not grouped by College. 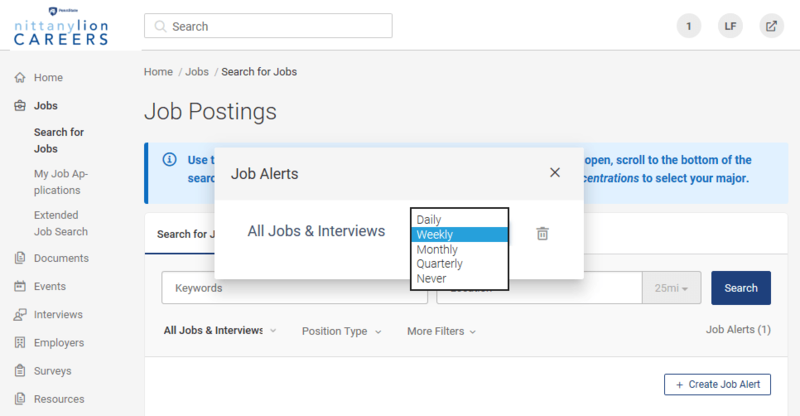 If you have created filtered search results that you would like to receive periodic updates on, you can click on “Create Job Alert” at the top of the page after applying the relevant filters. You can manage your Job Alerts by clicking on “Job Alerts” right above the “Create Job Alert” button. 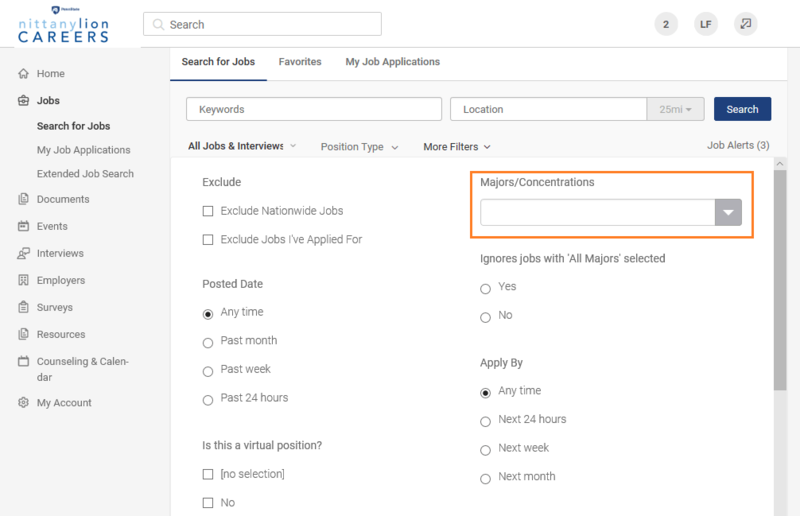 This will open a window that will allow you to choose how often you would like to be notified about available jobs related to your filter(s). Choose the frequency you would like. You can click on the trash can icon to delete a job alert.